In the ever changing world of popular music, there are certain characters who remain constant. 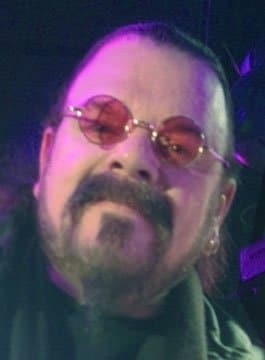 Always present, though in many different guises, is a man whose appearance is as colourful as his music … Roy Wood! In 1966, Roy along with Carl Wayne, Bev Bevan, Ace Kefford, and Trevor Burton formed The Move. The band were one of the most legendary, and indeed, notorious bands of the Sixties. Their first single, ‘Night of Fear‘ immediately landed the band in the Top 5, which set a precedent for nine further Top 20 hits over the next five years, all written by Roy. Their hit ‘Flowers In The Rain‘, was the first ever record to be played on Radio One. The Move’s No. 3 hit ‘Fire Brigade‘ was followed by chart topping masterpiece, ‘Blackberry Way‘ before personnel changes within the band led to the teaming up of Roy with Jeff Lynne. Whilst The Move continued to record four more hit singles and two albums, the “Electric Light Orchestra” was born to accommodate Roy’s burning desire to create pop songs with heavily classical overtones. ELO’s first single, the spine-tingling “10538 Overture“, entered the charts as The Move’s final offering, “California Man” left the Top 10. The latter was one of rock’s finest moments and made a fitting farewell for a truly great band. After co-writing and co-producing the first ELO album and taking the adventurous unit on the road, Roy decided to look elsewhere for a fresh challenge and a new direction. Experimentation with a stage costume to represent The Move’s hit “Brontosaurus” eventually evolved into the delightfully fearsome “accident in a paintshop” appearance of Wizzard. Woody seemed to have heard the band’s sound in his head and interpreted it so boldly and literally with a visual image of wildly multi-coloured hair, bizarre face paint, and a dress sense that made Ziggy Stardust look subtle! Debuting in the charts at No. 4 with ‘Ball Park Incident‘, Wizzard followed up with two No. 1’s in ‘See My Baby Jive‘ and ‘Angel Fingers‘ and of course the Christmas classic that still sounds today as fresh as a snowflake – I Wish it Could be Christmas Everyday. The Degree of Honorary Doctor of Music was conferred upon Roy in January 2008 from The University Of Derby, and his own star on The Birmingham Walk Of Stars in 2010. In 2017 Roy Wood was inducted into the Rock and Roll Hall of Fame as a member of Electric Light Orchestra.